The first Silent Hill film was by no means a “masterpiece”, or even a minor “piece” at that. Like many game-to-film adaptations, the film fell flat with its lack of intrigue, direction and the most important aspect in a psychological horror: horror itself. Six years after the fact, Michael J. Bassett, a largely unknown director in the Western market is at the helms of the sequel, both writing and directing the incredibly loose adaptation of the critically acclaimed video game series’ third entry. A direct sequel to the events of the first film, Silent Hill Revelation 3D takes place a number of years after the first movie. Sean Bean (‘Game of Thrones’) returns as the stalwart protector and father of Sharon (Australian actress Adelaide Clemens), after her mother managed to send her across one dimension to another (the beginning of a long line of nonsensical plot points), at the cost of trapping herself in Silent Hill indefinitely. While capturing the look of the games, Silent Hill: Revelation 3D is a supreme waste of talent. Seemingly more and more troubled by her shrouded past and memories of Silent Hill, a young Heather Mason (Sharon and her father are using aliases to hide) experiences more and more vivid hallucinations of violent and shadowed characters that – wait for it – no-one else can see. Her father kidnapped, and her mental state in tatters, Heather knows the only logical and sane thing to do is of course return to the one place her father has repeatedly told her not to go; Silent Hill. This is where things get verbose, stupid, and just plain crazy. According to my fiancée, it’s canon to the games. The problem lies therein; you can’t cram a 40-hour story into a 90 minute long Hollywood movie; it just doesn’t work. As the film progresses, the narrative becomes an increasingly tangled web of poor dialogue and abysmal character development. 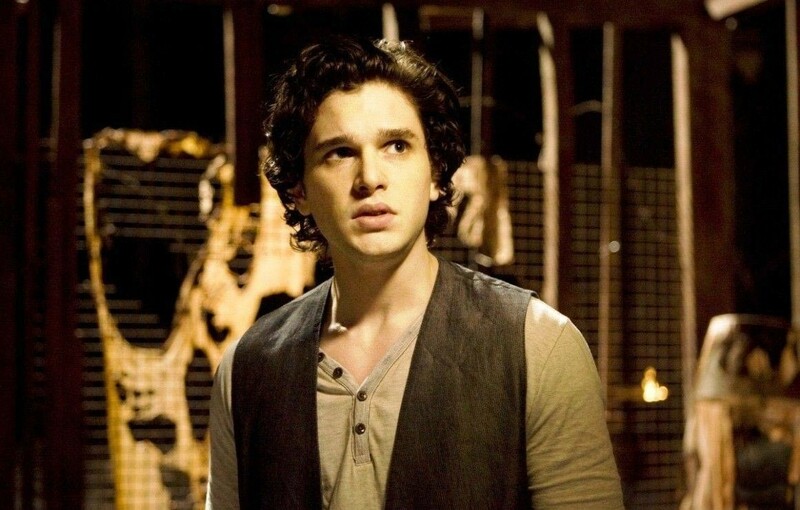 Kit Harrington (Another ‘Game of Thrones’ alum) plays the role of Vincent, Heather’s “love” interest if you will. Harrington’s involvement in the film exists solely to explain the convoluted story to the viewer. Within thirty minutes of the film’s beginning, Vincent expresses his love for Heather and I almost vomited. The relationship between the two makes sense having watched the entirety of Silent Hill, but during the viewing you can’t but help think the whole relationship feels forced and pointless, almost as if it was included to appeal to Twilight fans. Such a great actor in HBO’s ‘Game of Thrones’ felt flat, poorly driven, and above all else entirely forgettable. The clunky and drab dialogue isn’t just limited to the likes of Harrington, however. Many of the exchanges between the characters feel rushed and unnatural. Jon Snow just can’t seem to catch a break. It would almost be a crime for me to view a 3D film and not actually analyse the 3D cinematography itself, right? Well, one thing I can speak positively of is the incredibly vivid and realistic portrayal of Silent Hill. Drawing heavy influence from the game, Basset has created a truly horrific – and realistic – world. As Heather’s mental state descends further and further into insanity, so do the deplorable features of Silent Hill’s long dilapidated and crumbling society. There are some tacky “Woah, stuff coming out of the screen!” moments, but for the most part Silent Hill does 3D how it should be. The 3D isn’t enough to prop the experience up though and ultimately Revelation 3D falls flat. I was disappointed. I went in expecting a truly horrifying psychological thriller, and instead left feeling confused and disappointed. Where the original film might not have been a critical success, it set the bar high for any sequels, and it’s as if Revelation just tried to crouch under it. For a movie in the horror genre, Revelation’s scariest point was its dialogue and excruciatingly poor acting. Silent Hill: Revelation 3D is another entry in a long line of horrible videogame-to-movie mistakes, and it’s one I don’t intend on seeing again anytime soon.